UPDATED: Wed., March 27, 2019, 7:10 p.m.
House Bill 1074, to raise the age for purchasing tobacco and vapor products to 21, received final passage in the Senate on a 33-12 vote. Among Spokane-area senators, Democrat Andy Billig and Republican Shelly Short voted yes; Republicans Jeff Holy, Mike Padden and Mark Schoesler voted no. OLYMPIA – Washington residents who aren’t 21 by next New Year’s Day won’t be able to buy cigarettes or vaping products in the state. But if they buy tobacco products from a tribal smoke shop or across the Idaho border, there will be no penalty for possessing or using them in the state. On a 33-12 bipartisan vote, the Senate gave final approval Wednesday to a proposal to raise the age for purchasing tobacco products starting next year. Gov. Jay Inslee has said he will sign it, making Washington the ninth state to increase the age to 21. “This bill is about saving lives,” said Sen. Patty Kuderer, D-Bellevue, who told of watching her grandfather die of emphysema. People who don’t smoke before they are 21 are less likely to start afterward, she said. Sen. Ann Rivers, R-La Center, also told of losing her parents and an older sister to lung cancer. All started smoking at age 14 and later said if they knew the dangers, they never would have started. While Rivers voted for the bill, she said she was worried the state was setting up a “thriving black market” for tobacco and vaping products by not including penalties for possession of those products by people younger than 21. The Senate rejected an amendment to add civil penalties to the bill for possession of tobacco or vaping products by those under 21. Sen. Doug Ericksen, R-Ferndale, argued that without those penalties, smoke shops on tribal land or close to cross-border cities will have an unfair advantage on nearby stores that have to follow state law. “It’ll be great for Stateline, Idaho,” he added. 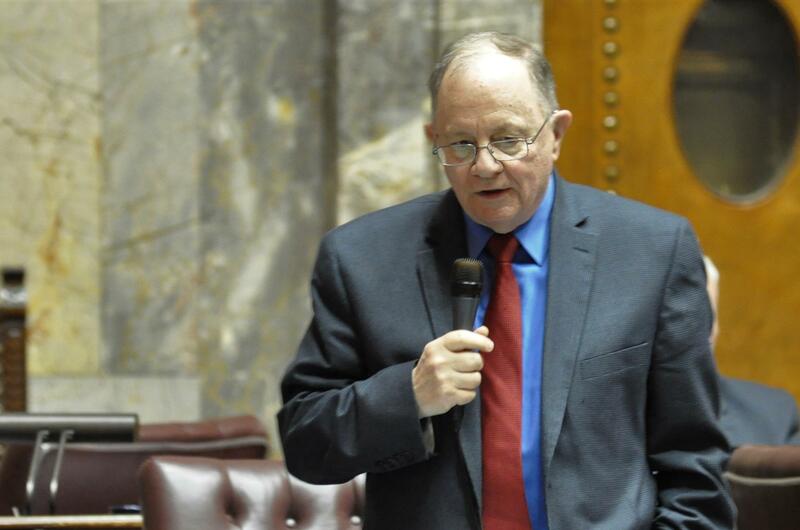 Also rejected was an amendment by Sen. Mike Padden, R-Spokane Valley, that would have allowed members of the military who are under 21 to purchase tobacco products. Earlier in the day, the Legislature had passed resolutions honoring the Washington National Guard, and Kuderer cited a letter from Guard officials urging lawmakers to raise the age to smoke and mentioning tobacco use as one reason why only a fourth of all teens can meet the physical fitness requirements for enlistment. Opposition to the bill included some of the Senate’s more conservative and liberal members. Sen. Jesse Salomon, D-Shoreline, joined Padden in the effort to allow military personnel to purchase tobacco products at 18. Sen. Phil Fortunato, R-Auburn, said legislators should make up their minds when a person is an adult. Published: March 27, 2019, 5:23 p.m. Updated: March 27, 2019, 7:10 p.m.